Both Master's and Doctoral degrees are awarded by SEM, and a variety of graduate courses are offered in support of these degree programs. 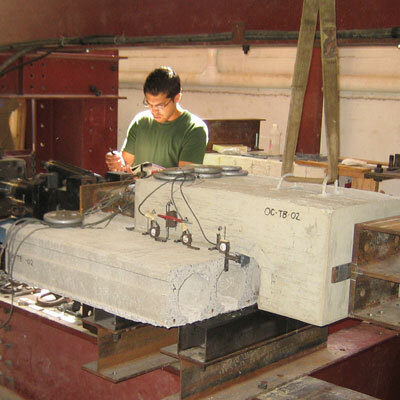 The course offerings have significant depth and breadth in design of concrete and steel structures, supported by offerings in analytical and numerical structural mechanics. Graduates of the SEM program have excellent opportunities for obtaining rewarding and challenging employment in structural engineering. In general, graduates have been employed by private consulting engineering firms and in state and federal agencies, industry and universities.